Flying gas stations could enable long haul flights to cover much greater distances and improve energy efficiency, a European research project has suggested. Air passengers could soon be able to hop on a plane in Europe and travel non-stop to Australia and New Zealand, if a new concept in aviation takes flight. The longest flight currently in operation is a Qantas Airlines route from Dallas/Fort Worth to Sydney, covering a distance of 8,578 miles (13,804 km). Scientists are also exploring the idea of passenger transfers mid-flight, reducing the number of times an airplane would need to land and take off. 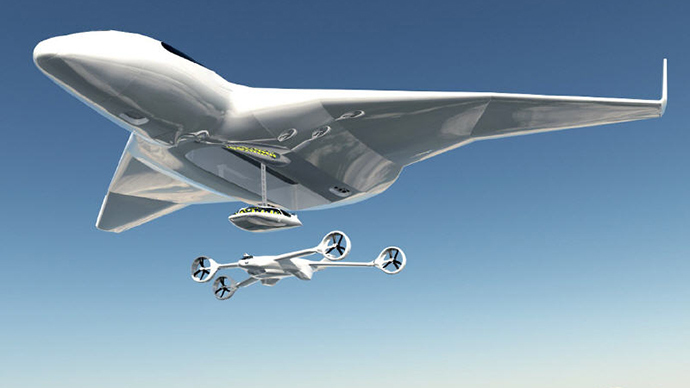 The innovation would involve the use of refueling jets capable of meeting planes in the sky to provide top-up kerosene. Mid-flight refueling operations already exist and are sometimes used by military jets. Air Force One, the official plane of the US President, is capable of being refueled while in the air, as are some helicopters. Scientists working on the project, Research for a Cruiser Enabled Air Transport Environment (RECREATE), said aircraft fuel makes up about a third of the weight on long-haul flights at take-off. Under a system which makes use of refueling jets, researchers estimate passenger jets could carry less fuel on takeoff, then refuel once they reach an altitude of 33,000 feet (10,000 meters). Noise pollution would also be reduced, as airplanes make more noise the heavier they are at takeoff. Researchers estimate the amount of fuel needed on departure could be reduced by up to 23 percent for every 6,000 nautical miles flown by a plane carrying 250 passengers. The joint project is being led by the National Aerospace Laboratory (NLR) in Amsterdam and the Zurich University of Applied Sciences (ZHAW). An even more radical idea proposed by researchers would see passengers being flown to board planes which continually circle the earth in set routes. The ‘air metro’ system would reimagine current conceptions of air travel and provide added convenience, the scientists claim. “Think of the added convenience if you bought a ticket not for a particular flight but for the transport system,” RECREATE writes on its website.